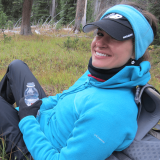 As Blakelee mentioned in her introduction blog, my name is Scott C. Carter and I am the Owner and Creative Director of Creative Map Solutions, a Geographic Information System (GIS) solution and Mapping Support company based out of Firestone, CO. 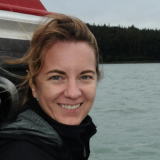 Working as a cartographer utilizing geospatial datasets requires extensive knowledge of multiple GIS, CAD and graphic design software applications. Over the past 20 years of offering GIS and custom mapping solutions I have found that there has rarely been an instance where one software package will fulfill the requirements to design a map from start to finish. It is not uncommon that I will use five or more different software applications to create a presentation quality custom map. One of my favorite software applications to assist me with my project is Golden Software's Surfer program. In 2005 when I produced my 3D Grand Canyon map using the Chromodepth color scheme in Surfer, the cartographic team at National Geographic examined my map through a loupe and was confused as to how I was able to achieve a color shaded relief map without the "banding" effects. The following information will tell you my secret to shaded relief mapping and utilizing Surfer in generating presentation quality maps. In evaluating many different software applications that produce shaded relief maps, I have found that Surfer is the best at producing visually stunning color or grayscale shaded relief maps. Surfer allows you to import many different formats of elevation grid files (DEMs) and generate a "3D Surface", or shaded relief map, from those files. The user has the capability to generate either orthographic or perspective maps in an easy to use interface. 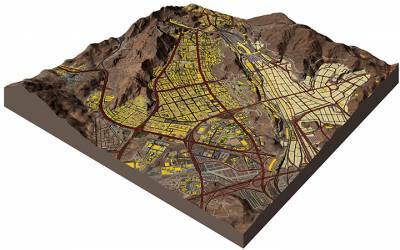 Orthographic relief maps are good to use as a base shaded relief map in your custom map design. The orthographic maps can then be exported out with spatial reference information (e.g., GEOTIFF) so the user could bring it into other software applications that support georeferenced images. The perspective maps are good for depicting the terrain heights when exhibiting information in an oblique view. The ability to rotate the DEM and show that information in a perspective view, while adjusting the lighting and the vertical exaggeration assists Creative Map Solutions in generating realistic terrain maps. Another advantage of using Surfer in the generation of shaded maps is the ability to smooth DEM data prior to generating a 3D Surface map. 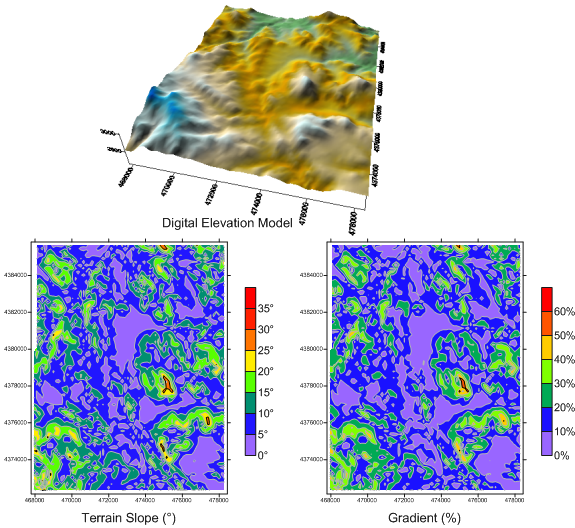 Many elevation data sources such as ASTER, SRTM, and LiDAR data contain anomalies in the dataset that are visible and hinder the aesthetic value of the relief map. Utilizing the "Grid Filter" tool in Surfer, we can minimize the visual anomalies of the data to improve the appearance of the DEM data. This filter tool is also good for smoothing out DEM data that has been created in Surfer using x,y,z data. We have found that Surfer contains the best "smoothing" algorithms out of all the software that we tested that can manipulate DEM (elevation) data. Choosing the correct color ramps to depict elevation changes is an important part of any hypsographic map display. Surfer has an easy to use interface when choosing color values based on elevation to build a color ramp. 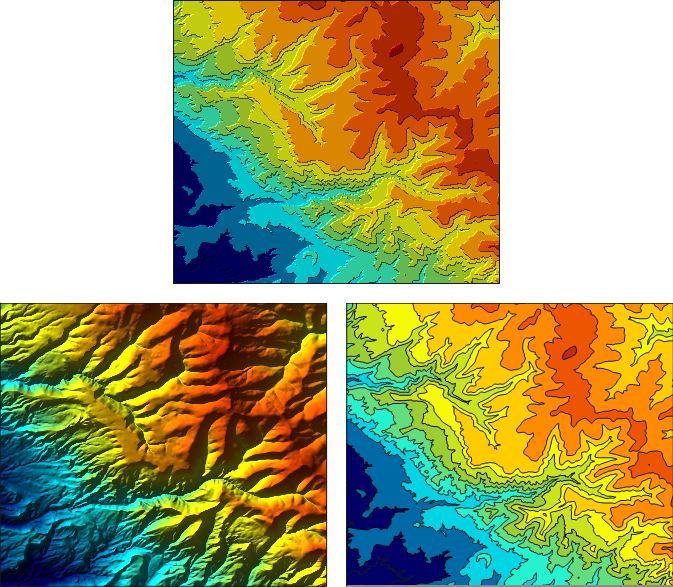 You can easily add or remove values based on elevation heights to create stunning visual shaded relief maps. The color palettes can then be saved and imported back in to Surfer to save time when creating shaded relief maps for other areas. One approach that Creative Map Solutions has taken for generating shaded relief maps is to build multiple color ramps and then export out the images so they can be changed in a graphic design program such as Photoshop. By masking out certain areas within different shaded relief "layers" in Photoshop, you have the ability to further manipulate elevation color ranges to create realistic looking maps. An example of how this is accomplished is shown in the following figures. Surfer will import a wide variety of GIS and CAD vector formats while maintaining the spatial location of those files. In certain cases, it is important to show perspective maps with layered information such as roads, buildings, water, etc. that can easily be manipulated in graphic design programs such as Adobe Illustrator or CorelDraw. To achieve this in Surfer, you simply create a "3D Wireframe Map" by importing a DEM file to serve as the base terrain data. You can then add multiple "Base Maps" in Surfer of various vector datasets and combine those datasets with the wireframe map. You can change the colors of the base layers along with line widths as depicted below. Once you combine the data that you need for the perspective map, you can then export the file into common vector formats such as a .dxf file. The vector file can then be imported into other graphic design or CAD programs for further manipulation. The file maintains the layer information allowing you to turn on and off certain layers in your graphic design or CAD application. The advantage of exporting out a vector wireframe, along with a 3D Surface (shaded relief map) is that the vector features come out cleaner and you have more control over colors, line weights, etc. Creative Map Solutions utilizes this feature along with the 3D Surface tool to create shaded relief perspective maps as shown in Figure 8. Surfer allows the user to drape aerial photographs on a DEM to create realistic visual effects. 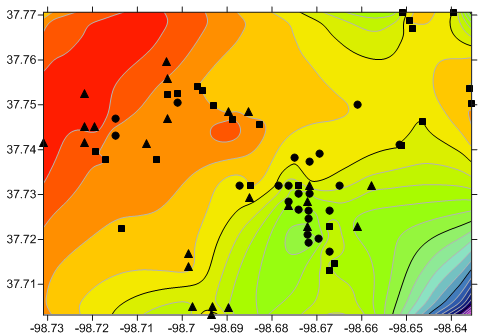 To do this you simply pull in DEM data and create a 3D Surface map. Once you have the surface map created, you simply add a base layer and choose the aerial photograph that you want to drape over the DEM. Make sure that both the DEM and the aerial are in the same projection, datum, and units so that the aerial photograph will correctly display on top of the elevation data. Also, you want to make sure that the colormap is set to white otherwise you will have the default shader colors in the DEM. There are many great features of Surfer that I did not cover in this article. I highly recommend Surfer to any individual or company that is looking to design aesthetically pleasing maps. This application, coupled with other GIS, CAD, and graphic design applications will enable you to quickly and easily generate presentation quality maps. My name is Scott C. Carter and I am the Owner and Creative Director of Creative Map Solutions, a Geographic Information System (GIS) solution and Mapping Support company based out of Firestone, CO. Creative Map Solutions has over 20 years of experience in providing GIS and Custom Mapping Solutions to companies. We leverage our experience to handle everything from large one-time projects to ongoing GIS and mapping support. A true artist at heart, I have become an expert on a number of industry leading software applications utilized for GIS, mapping, drafting, 3D modeling, and data conversion. My custom map work has been published in many different media formats including magazines, books, television programs, and a major motion picture. Creative Map Solutions provides custom map solutions for a wide-variety of industries including oil and gas, mining, litigation, real estate, and various media outlets. Using state-of-the art mapping and graphic design software, Creative Map Solutions can quickly and affordably create an eye pleasing visual presentations. Creative Map Solutions has an extensive library of in-house datasets such as aerial photography, elevation data, and vector feature layers (roads, hydro, buildings, etc.). This gives Creative Map Solutions a competitive advantage as we can quickly and compile any map base information to assist in the final map composition. Our maps can be delivered in a variety of formats based on your specific capabilities and needs. Good read. Thank you for sharing information on this GIS software.